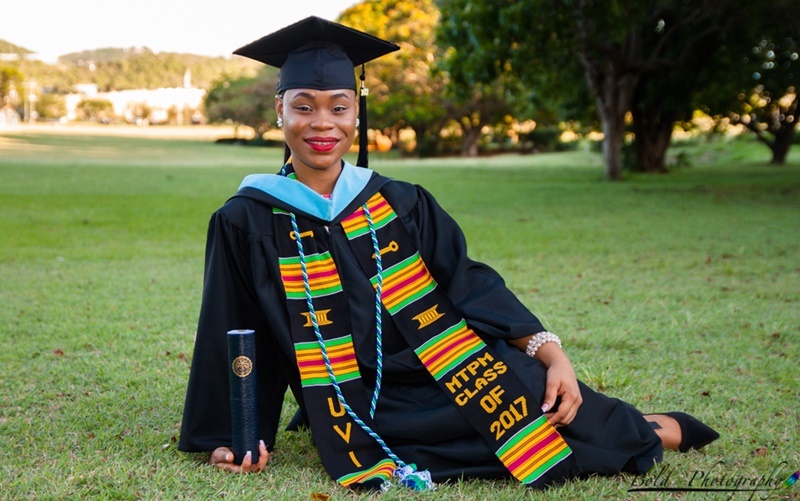 The graduation season has started in fine style for some British Virgin Islands (BVI) students studying abroad; not least among them is Virgin Gorda native Monel Marcellin, who has graduated with the highest quality degree possible from the University of the Virgin Islands on St Thomas. To top it all off, Monel was selected class speaker for the just over 200 members of her graduating batch. “The experience was very fulfilling. I was very honoured to be voted as class speaker,” she told BVI News Online. Monel has an impressive academic record, but she noted that her being class speaker ‘had nothing to do with grades’. Prospective speakers were nominated, and the nominee with the highest number of votes cast by graduates eventually became the speaker. From all accounts, Monel represented herself and her batch-mates well. The Virgin Islands Consortium news entity in St Thomas reported that her speech was ‘powerful’, adding that President of the university Dr David Hall publicly described it as ‘the best class address he’s heard in his eight-year tenure at the university’. 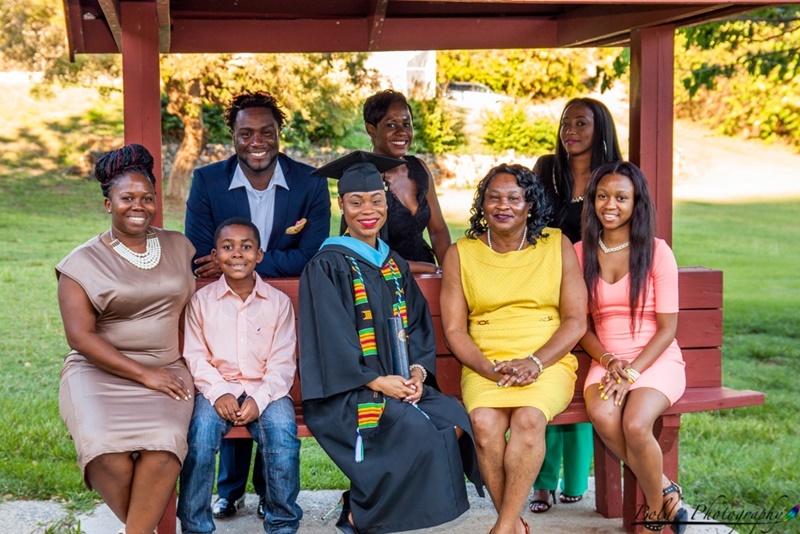 Monel, who previously spoke at two graduations on her home island of Virgin Gorda, graduated this month with a Bachelor’s Degree in Elementary Education, with concentration on English Language. She noted that the journey was tough, but she received tremendous support from her circle of friends and relatives. “There were times when I wanted to give up; there were times when I got failing grades in my exams. But, because those people were there to hold me and encourage me, I was able to succeed in that way,” Monel told BVI News Online. She also holds an Associate’s Degree in Primary Education from H Lavity Stoutt Community College (HLSCC). Monel is now gearing up for another year at the University of the Virgin Islands on St Thomas, where she will pursue a Master’s Degree in Public Administration. “I am coming back [home] because a lot of people from here – and even who are not from here, sit on the outlines and they criticize the BVI. They can pinpoint everything that is wrong about the BVI. However, a lot of people are not bold enough to come back and provide solutions for the problems they talk about,” Monel further said. She, in fact, had started to make her contribution through one of the most noble professions – teaching. 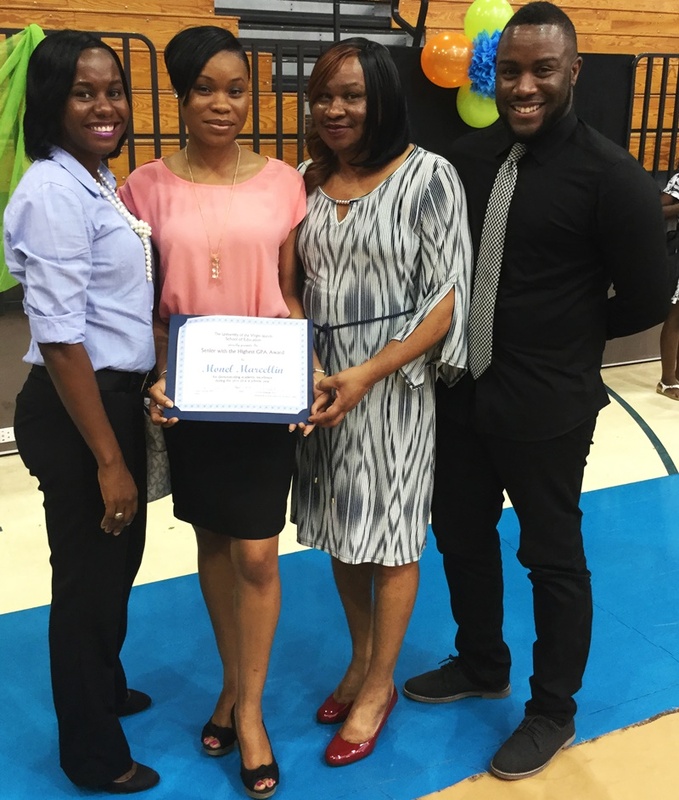 Immediately before Monel went to the University of the Virgin Islands, she taught for two years at Bregado Flax Educational Centre (Primary Division). “I chose teaching because of the teachers I had when I was in primary school,” said the past student of Robinson O’Neal Memorial Primary School. 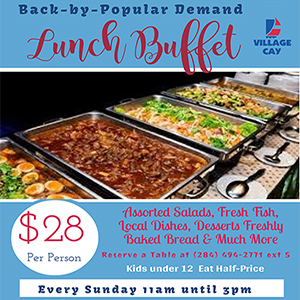 Monel also harbours fond memories of growing up in the close-knit community of North Sound, Virgin Gorda, where everyone is family – pun intended. Monel, who also has a knack for writing, is the last daughter for Delores Creque and Paul Marcellin. While highlighting her Christian leanings, the young British Virgin Islands native noted her belief that everything is possible, starting with the first step. “My advice to young people is to start. Just take one step and start moving towards your goals. And, when you reach the accomplishments, never forget where you came from and who helped you along the way,” added Monel.